The French defeat at Waterloo 200 years ago is still such a sore subject for Paris that the Élysée Palace has prevented the minting of a special euro coin commemorating the battle, which saw an end to Napoleon’s glittering military career. The Council of the European Union planned to bring out a 2€ coin marking the anniversary of the 1815 battle fought 13 kilometers south of Brussels, between an allied army commanded by Britain’s Duke of Wellington and Prussia’s General Blücher and a French army led by Napoleon Bonaparte. The French defeat finally ended 23 years of war, starting with the French Revolutionary wars and then continuing with the Napoleonic Wars from 1803. In its letter of objection, President Francois Hollande’s government argued the draft design revived a “negative symbol” which could even, allegedly, trigger hostility in France. Belgium withdrew the proposal to strike the one-off 2-euro piece, an EU official told Reuters, averting an EU ministerial vote after Paris claimed that glorifying a time of conflict ran against policy of the European unity. The design featured an image of the Lion Hill memorial at Waterloo, near Brussels. 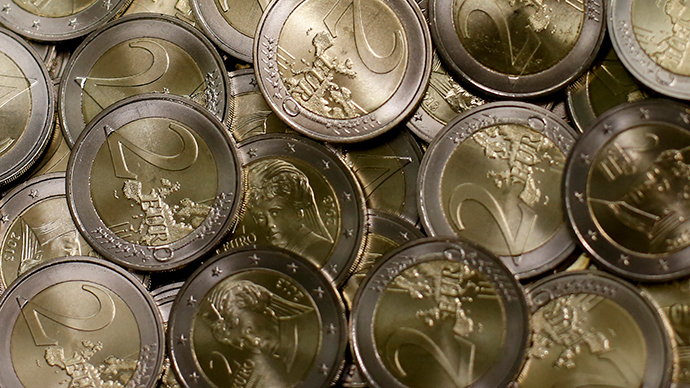 The 19 countries using the euro apply their own national design on one side of the coins. They can also mint special editions of the largest, 2-euro coins, but those designs have to be approved by a council of EU ministers. Last year, France raised no objection to a commemorative 2-euro coin marking the 70th anniversary of the June 6, 1944, Normandy landings that marked the beginning of the end of Nazi rule in Europe. Those struck this year include a German coin marking 25 years of reunification, a French celebration of 70 years of peace since WW2, and Finland's memorial to prominent composer Jean Sibelius. Coin collectors hunting for Waterloo souvenirs will have something to look for, too, even if it's outside the euro zone so far. The UK Royal Mint is offering a 5-pound coin featuring the architects of Napoleon's downfall, Wellington and Blücher.